Joan awarded Bernie with a nice bottle of Cabernet Sauvignon to mark his retirement. Golf Tournament: Monday, June 3: still have some foursomes so contact your golf buddies now. See Gary to volunteer that day. Tee signs are only $150, consult the businesses you know. Mother's Day Roses: Time to sell roses, Peter brought the new forms, please pick up at least a dozen. Capital City Clean-up at corner of Bank Street and Rotary Way, April 27 form 9 - 11am. Go to online sign-up sheet or speak to Scott. Somali Hope Foundation annual gala: Saturday April 27 evening. See Joan for tickets, $100, now. Ian is looking for interesting speakers for future RCOS meetings; give it some thought and give him a call with your suggestions. President Joan collected our happy bucks. Joan and Janine teamed up to handle the 50/50 draw. Lucky Sam had the winning ticket, but the Joker eluded him. 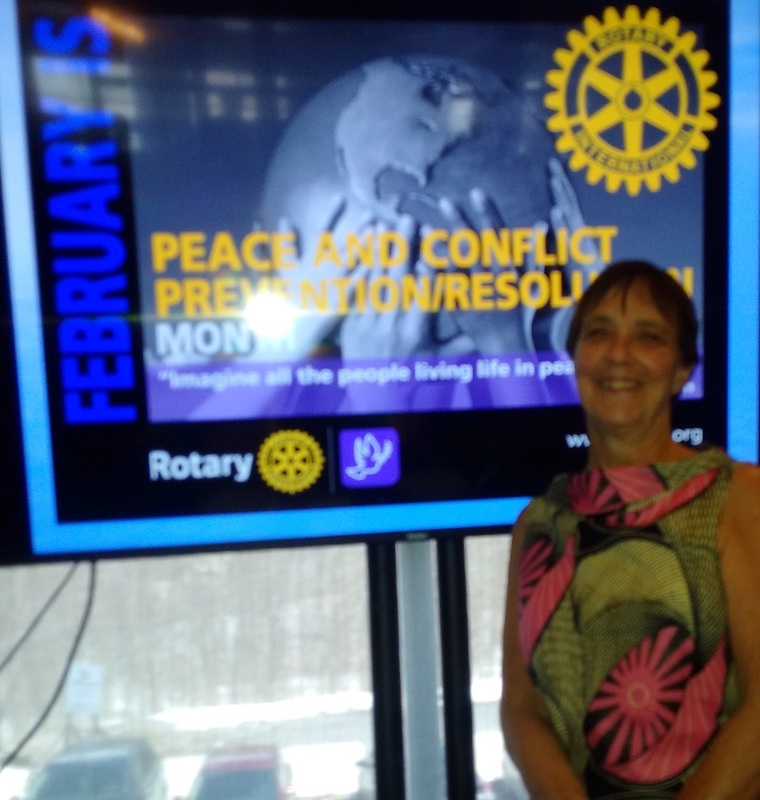 Janine has many years of experience working on international projects and actively participating in Rotary clubs. She used her knowledge of Rotary and her personal experience to provide a very informative and entertaining presentation. President Joan ended the meeting promptly at 1:30pm. RCOS member Janine Parker presents on Rotary's 6 areas of focus. 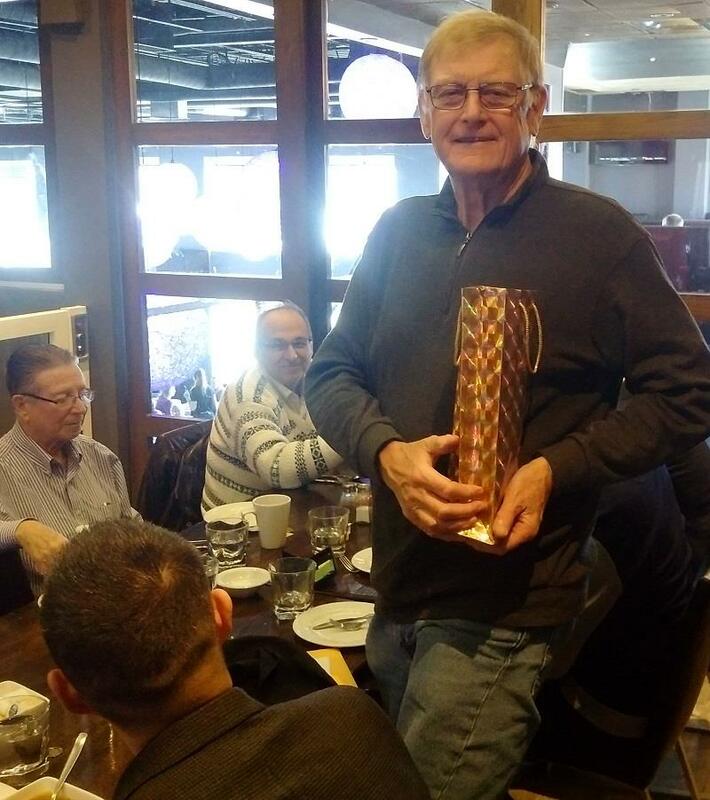 Bernie Ingimundson receives a retirement gift from the club.